With only two months of regular season hockey left, the Western Conference playoff picture is finally becoming clearer. But for the Calgary Flames, on the other hand, the line between the postseason and the offseason is still very blurred. With the rest of the Pacific Division fairly far ahead, Calgary will likely be competing with the Los Angeles Kings and either the Nashville Predators or St. Louis Blues for a wild card spot. The Flames are clinging to the final spot right now but the Kings are right at their heels with a couple of games in hand. So with only 19 games left, every point will make the difference between locking up a playoff spot or having an early start to summer. Calgary will play eight of their next nine games at the Scotiabank Saddledome against a wide mix of opponents. The Flames will start the stretch playing four games against Los Angeles, Detroit, the New York Islanders and Montreal, which make for four very winnable games. The Kings are perhaps the most likely team to knock Calgary out of a playoff spot, so a win against L.A. is a must. In terms of the Eastern Conference teams, Detroit has been the worst team in the conference while the Islanders, though hitting a hot streak, have been bad on the road this year. The Canadiens are a bit of a wild card at the moment, but have been slumping and should it continue, Calgary will have a good chance to capitalize on their errors. Right in the middle of their home stand, the Flames will play one game in Winnipeg, before finishing their home stand with four games against Pittsburgh, Boston, Dallas and Los Angeles once again. Winnipeg is the second-highest scoring team in the Western Conference and Pittsburgh is Pittsburgh, so the first two games will be tough for Calgary. Boston is a team fighting for their playoff life, but L.A. and Dallas are conference rivals who the Flames will need to beat. 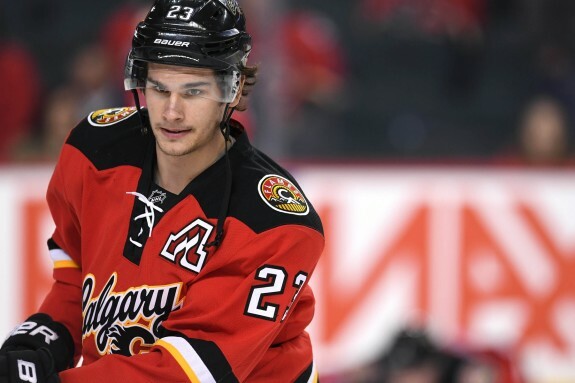 Out of the nine games, there’s good reason to believe the Flames can continue their hot streak and win six or seven to put themselves in a good position going into the home stretch. Looking at the last 10 games of Calgary’s season, the Flames will be in tough against some talented teams. The Flames will start their final 10 games by playing three on the road in Washington, Nashville and St. Louis. The Capitals are the top team in the Eastern Conference and with a home record of 25-5-1, it won’t be an easy two points for the Flames. Nashville and St. Louis, on the other hand, are practically linked to Calgary in the standings, both within just points of the Flames at the moment. If Calgary does clinch a wild card spot there’s an excellent chance either the Predators or Blues will have the other, so a win against either team would be huge. The Flames will finish the season playing seven games against Western Conference opponents, starting off with the league-worst Colorado Avalanche. But after what should be a Flames’ win, Calgary’s last six get very interesting. They’ll split six games between L.A., San Jose and Anaheim, playing one home game and one road game against each team. 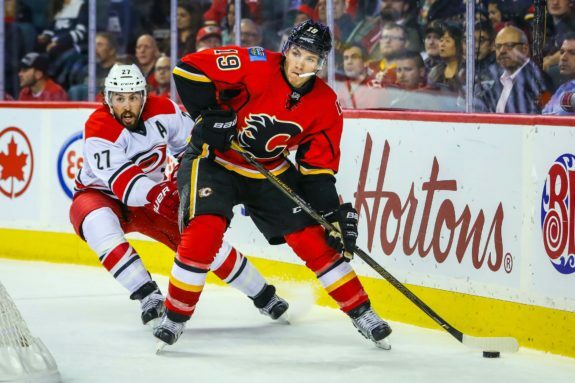 In what will feel like a mini-playoffs, the Flames will absolutely need to pick up points against their division rivals, as it will determine whether or not they end up clinching a playoff spot. Looking at Calgary’s next 19 games, they have a great chance at the postseason, but it’s not going to come easy. They’ll need wins in their home stand, but if they hit a rut and go into their last 10 stumbling, the Kings will be ready to jump at the chance at the playoffs.